I often try to think of different and unique ways to a wrap a gift. 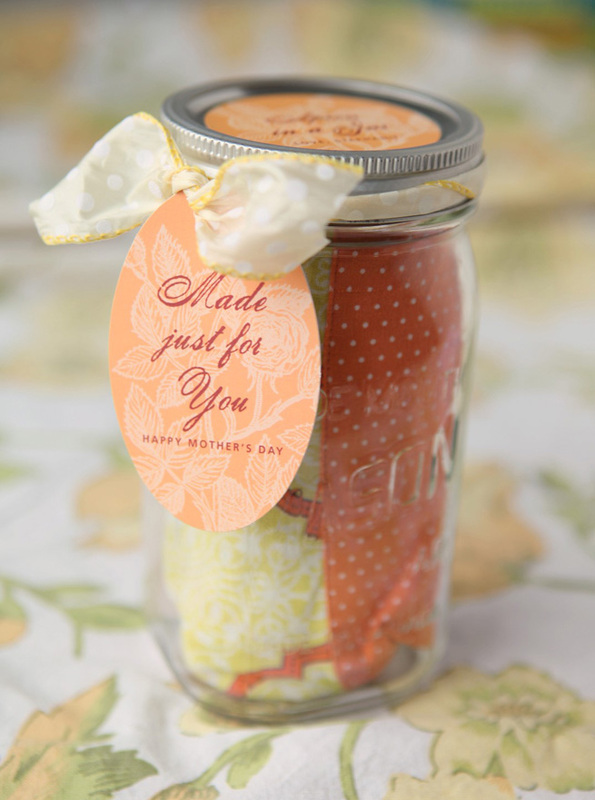 I have an absolute love of canning jars and vintage aprons so when I saw this idea over at Evermine blog I knew I was going to do this for my own mom this year for Mother’s Day. 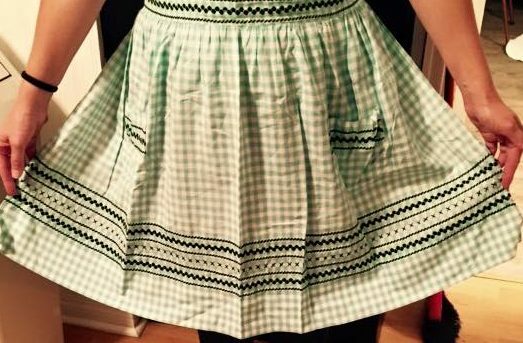 Here is the vintage apron I will be giving her. Thank goodness this is a quick and easy DIY, which means I still have time to get it done. 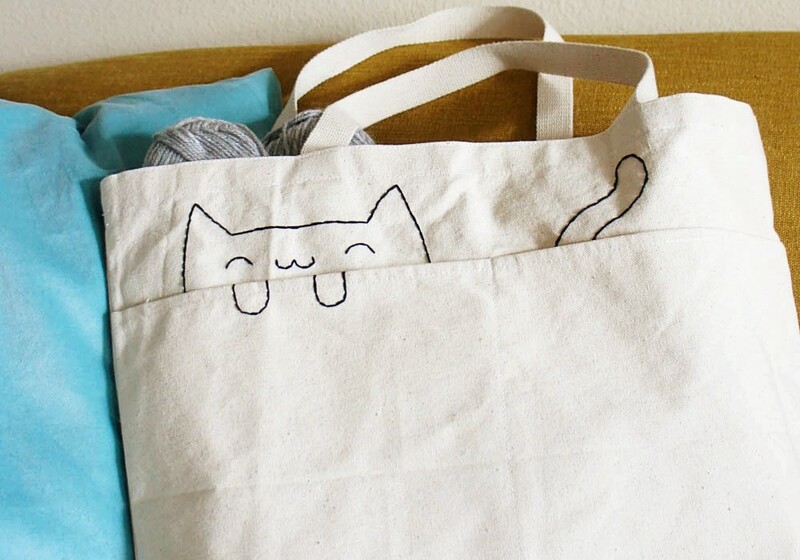 For all the cat loving mom’s check out the pink samurai for this is so cute and so easy, DIY embroidered cat tote bag. A flower bouquet that will last all year. 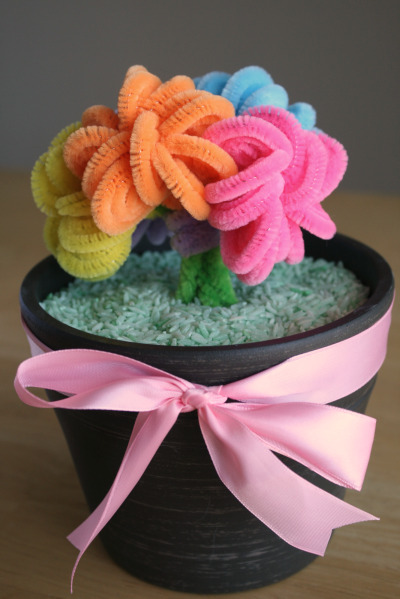 Try this pipe cleaner flower bouquet, instructions can be found at makeandtakes.com, the colors are so bright and vibrant. These are easy and quick DIY Mother’s Day Gift Ideas –A Wandaful Thing! 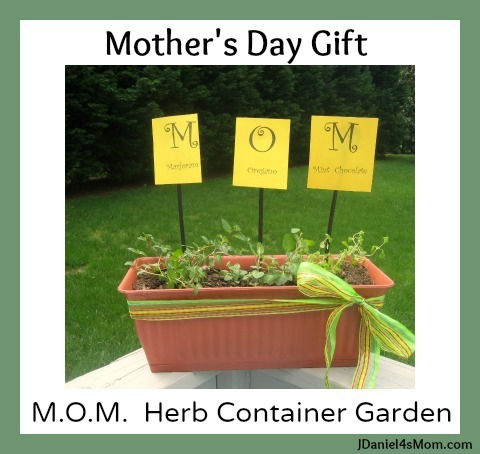 This entry was posted in DIY, Make and tagged apron, bracelet, cat, celebrate, container, Crafts, DIY, embroider, flower, fork, herb, ideas, make, mason jar, mom, mother, mother's day, simple, tote bag. Bookmark the permalink. Great variety of ideas. 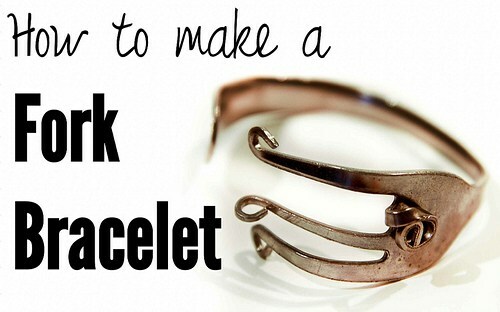 Like the fork bracelet hmm….. pipe cleaners sweet to make with kids. Thanks for the sharing.